Macular degeneration, also known as age-related macular degeneration (AMD), is the deterioration of the macula that results in impaired central vision. AMD is the number one cause of blindness in people over the age of 55. Factors that increase the chance of having macular degeneration include age, Northern European heritage and smoking. Dry AMD, when the retina and layer underneath it become thin, is the most common type of macular degeneration. This usually progresses slowly and visual deterioration is usually milder in this form. Wet AMD affects 10% of people with macular degeneration and is more severe. In wet AMD, abnormal blood vessels develop and leak fluid and blood into the retina causing scarring and loss of central vision. Careful monitoring of vision and regular eye exams are important for both forms of macular degeneration. Dietary modifications may help to reduce the risk of progression of vision loss. Studies suggest that eating dark green leafy vegetables (spinach, collards, kale and arugula) daily and eating berries (especially blackberries and blueberries) daily can promote the health of the retina. The AREDS 2 antioxidant vitamin supplements have been shown to reduce the risk of progression of vision loss in patients with moderate age-related macular degeneration. 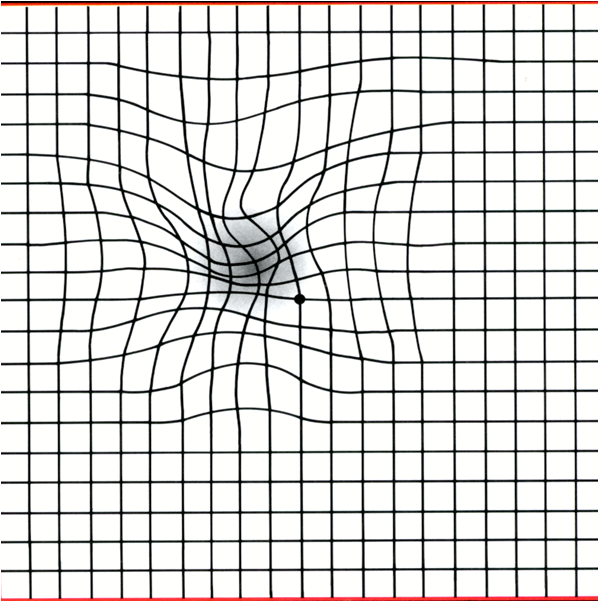 The AREDS 2 is a large well-designed study by the National Eye Institute (age-related eye disease study). They tested a vitamin combination of vitamin C 500 mg, vitamin E 400 IU, zinc 80 mg and copper 2 mg, lutein 10 mg, zeaxanthin 2 mg, all daily doses. These were shown to reduce the progression of vision loss by 25% only in patients who have moderate age-related macular degeneration. People with the mild form or with just a family history did not derive the same benefit over a seven-year period. The risk of vision loss from wet AMD can now be reduced with injection of medication that contains antibodies to one of the chemicals that stimulate growth of new blood vessels. These are called anti-VEGF medications and examples of these treatments are Avastin®, Lucentis® and Eylea®. If wet macular degeneration is found early, the injection of these medications, initially once a month and then longer intervals, can reduce the risk of severe vision loss by 90% and offers a 40% chance to improve vision. 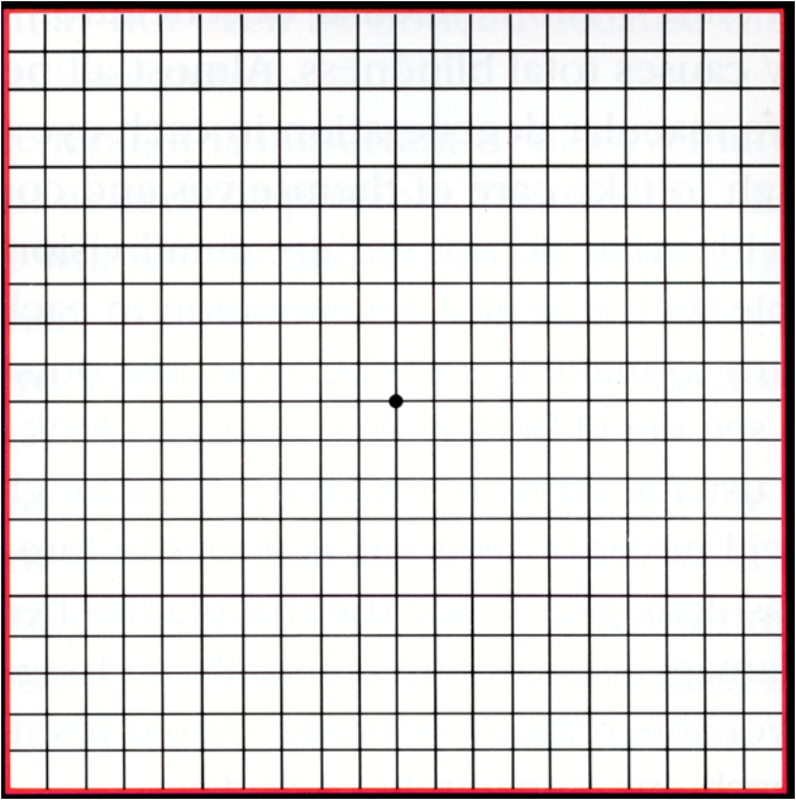 Check the Amsler grid regularly to determine whether there is any new distortion. Come for regular eye exams and be seen promptly if you notice a change in your vision. Use UV protection in sunglasses to protect the health of the eyes. Eat dark green leafy vegetables and berries. Avoid smoking. Smoking is one of the modifiable risk factors that are associated with progression of macular degeneration and worsening vision.